Don’t you just want that beautiful beach all to yourselves? Unfortunately, the nicer they are the more people fight to be on them. Why do you think they build those sky-rise condo’s right on the beach? We learned a long time ago what beach life is like out front of the big condo building. Somehow I got an offer for 4 nights free at one of those new condos. All I had to do was listen to a 3 hour sales pitch on buying a condo. No obligations, so I made my wife give it a go with me. Sat through the 3 hours, passed on it, and then we had the rest of the 4 days. So we all filed out of that conference room down to the beach. As we got there, it became painfully obvious that this paradise beach wasn’t going to be as special as we had hoped. Largely because there were over a thousand people spilling out into a dedicated section in front of the condos. Yuk! We ended up walking down the beach quite a ways and throwing our towels out in a more isolated section. This was much better until some local explained to me how this was a private beach for the owners only, and that the public beaches are down a bit. Therefore, we walked back to where we belonged and tried to enjoy the congested beach. Surely there is a way of Avoiding the Beach Crowds while at our Destin Vacation Rental. After a short while, I thought, let’s drive down and check out those public beaches. It was about 2pm at this point, and parking gets tricky. While the public beaches do have parking, the parking is limited. Therefore, by mid-day, every spot has already been claimed. Not a great start to my little paradise vacation. Okay, we’ll get one of those spots tomorrow by going early. Sure enough that worked and we got a nice spot on the beautiful emerald coast. Guess what our nice little spot was like come noon time. That’s right, all the parking spots filled up quickly, and the public beach was packed like sardines. I learned some valuable lessons that day that over the years helped me figure out how to beat the crowds. Bear with me and I’ll show you how you can see for yourself where the crowds are. See how you can enjoy your own Umbrella, chairs, kayak, bikes, pool! Some people don’t mind the crowds. Conversely, for my wife if people are within 10 feet of you front, back, side by side, all talking, playing different music, kids yelling, it becomes more like slumming than paradise. I get what she feels, for me it’s like going to a game and sitting in the nose bleed area. Having tasted what it’s like behind the catchers plate, or on the 50 yard line. At some point, just being there isn’t good enough. So the quest was to find a little seclusion on the emerald coast. The quick fix was to stay away from the city areas of Panama City and Destin. Same mentality as the work commute. People usually work in the hub of a city, but due to economics, live in the metro or rural area to have more space. 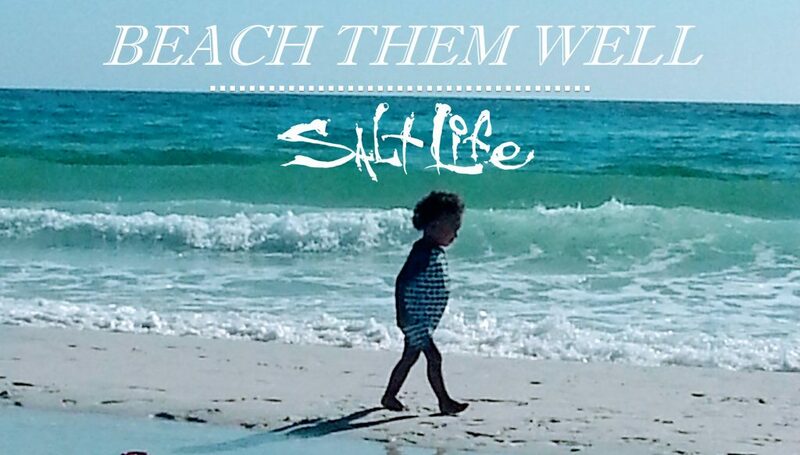 So we did the Vacation Beach House Rental thing for many years in the Seagrove 30A area. 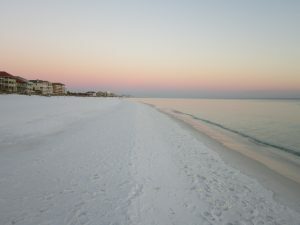 The crowds at the public beaches there are acceptable, while only 20-30 minutes to all the activities of Destin Florida. After the economic recession and a hurricane or two, I noticed pricing of the homes in the area had taken a beating. I found myself in a position to actually get a place on the Emerald Coast. For us, we had some requirements. It had to be our own private house, walking distance to the private beach with your stuff. Additionally, the private beach had to be beautiful and sparsely populated. So we started the hunt. Each time we would visit, I would rent in a different area so we could verify the quality of the walking distance and the quality of the beach. As we moved around those initial lessons really came into play. Anywhere you have a huge condo unit beach front; all those people are going to swarm onto that section of the beach. Public beaches are open to anyone, so they are pretty much always going to be crowded. Private beaches have the best chance of finding a secluded paradise, but they can vary based on circumstance. There are private areas like those used by Emerald Shores. While private, there are just so many homes and they share it with their sister condo establishment. Too many people per sq. feet of beach. Some private beach areas are right next either a public area, or a monster condo area and the masses of people spill over into the private beach area making it not so private. Read our House vs Condo comparison. Don’t share that Beach! I’ll use my Destin beach house rental, Doctors Orders as an example. Click the drop down for the Destin Florida Public Beach Access so you see all 12 of the public beaches. Now click James Lee Park. Then find the +- button on the map and zoom in 5 times by hitting the plus sign. Now you should see exactly what I’m talking about. The map viewer will be a lot clearer than my image. The dots are people (zoom more and you will see). The lines of blue dots are the beach umbrellas. What we found was that the Doctors Orders private beach usually has about 1 person to 10 people on the other beach! The private beach is deeded to the Kokomo Kove neighborhood which is small, but as most do they share with the beach front units. In our case it’s the Sea Oats motel which is only 2 stories. So compared to the monster condos like Crystal Sands down there way, there simply aren’t that many people to spill out onto the beach. In addition, you will see one area is almost totally vacant. This area is for the multi-million dollar beach front homes, and serves as a buffer between our private beach and the public beach by the Crab Trap. Those houses are so exclusive that there is barely anybody on that beach. from all the dining, shopping, activities of Destin Florida, and a short walk to the private beach. Here are some other reasons from the main website as to why you will love renting the Doctors Orders Destin Vacation Rental. Isn’t it easy to get sick of work, sick of stress and sick of a fast-paced life these days! The cure? A quiet getaway at your Vacation Beach House Rental in Destin Florida should be Doctors Orders in Kokomo Cove! This Destin Florida vacation rental sits just enough off the beaten path to offer real peace and tranquility. Most of all, there are no parking lots, cement jungles or noisy neighbors here! It’s wooded surroundings encompass views of two inlets. The Destiny West lake speckled with charming wildlife that call it home. Doctors Orders beach house rental is just one block from the sugar white sands of Crystal Beach. 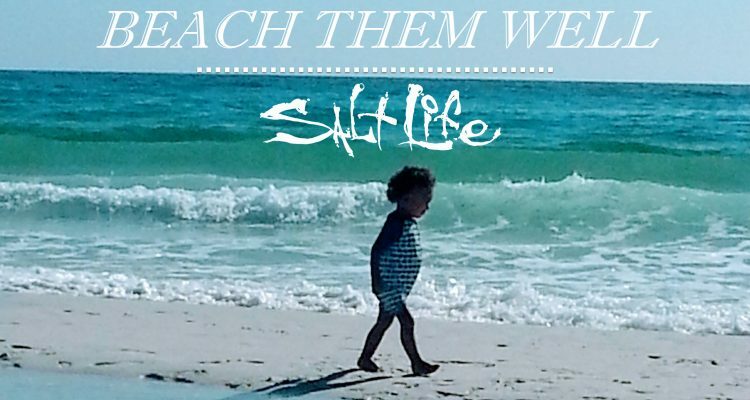 The clear waters of the Emerald Coast will leave you awe struck. During the season the water is warm and Crystal Beach is shallow enough to walk out for quite a way. See the live cam feed of Crystal Beach, Florida Fl, just a few hundred feet from our private beach access. You will be amazed when you look down through the clear waters. Then you will see your feet at the bottom with fish swimming around your ankles. We hope you select Doctors Orders Destin Beach House while Avoiding Beach Crowds Vacation Rentals Destin.